Business Subnotebook. Toshiba has released the Satellite R830, a 13.3-inch subnotebook that could be of particular interest to business customers. 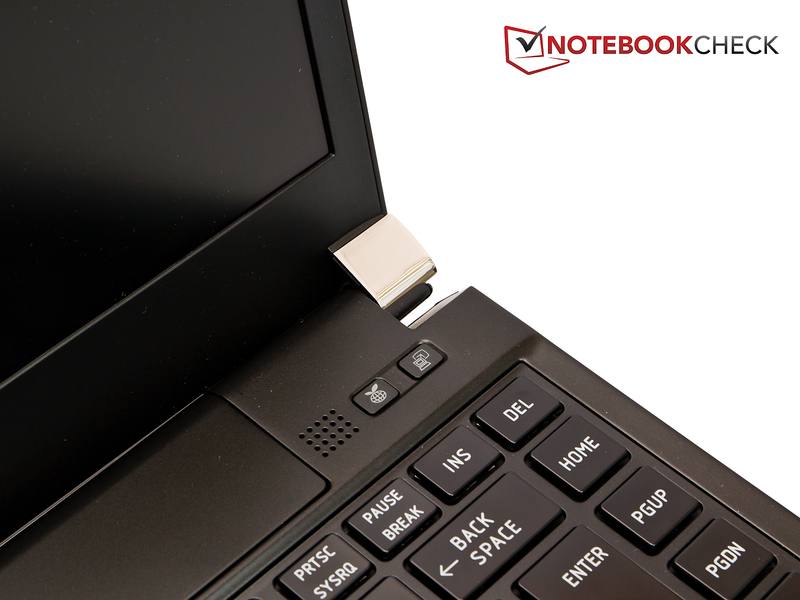 The small, light laptop stands out with its stylish appearance, good battery life and built-in solid state drive. Right now you can hardly move for notebooks with the hardware combination of Intel Core i5-2410M and Intel HD Graphics 3000 graphics. Just recently we presented a large number of them as part of the Intel TestIT!2011 project. So how can a notebook distinguish itself from the crowd? Toshiba’s simple answer to this question is to put the same hardware into a smaller 13.3-inch subnotebook, targeting a different price range. The case is made of magnesium instead of plastic, the screen is matt, and an SSD has been used instead of a conventional hard drive. But in exchange, the user will be asked to cough up almost 1000 Euros. 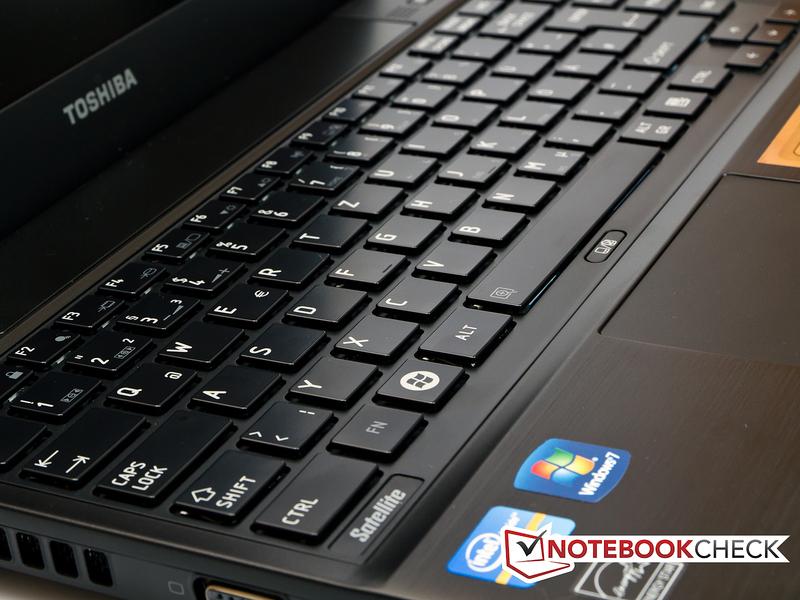 Find out in our review whether the Toshiba Satellite is worth it. In terms of its appearance, the subnotebook makes an excellent first impression. The case is slim, weighing barely 1.48 kg, and its shape and design contribute to its elegant look. The choice of magnesium makes the case very attractive, and also more robust than a plastic one. However, the size of the gaps between different parts of the case does vary a little in places. In its closed position, the lid can be made to flex inwards with very little effort. You can feel the lid pressing against the screen from behind. The lid could also do a better job of withstanding twisting forces. The two display hinges have a high-gloss covering which contrasts well with the otherwise black case. The hinges hold the lid firmly in its place, but cannot prevent it from wobbling back and forth a little when you open it. Annoyingly the hinges are also so tight that you can’t open the lid with one hand. The base unit is just too light and gets pulled up with it. With the laptop open, you are faced with more matt magnesium surfaces. These are very resistant to fingerprints, but they do show up the dust. On the other hand, the chassis effortlessly withstood our pressure tests. The palm rest was completely unfazed and did not move one millimeter. The keyboard also proved to be very stable, only flexing a couple of millimeters in the centre when subjected to strong pressure. 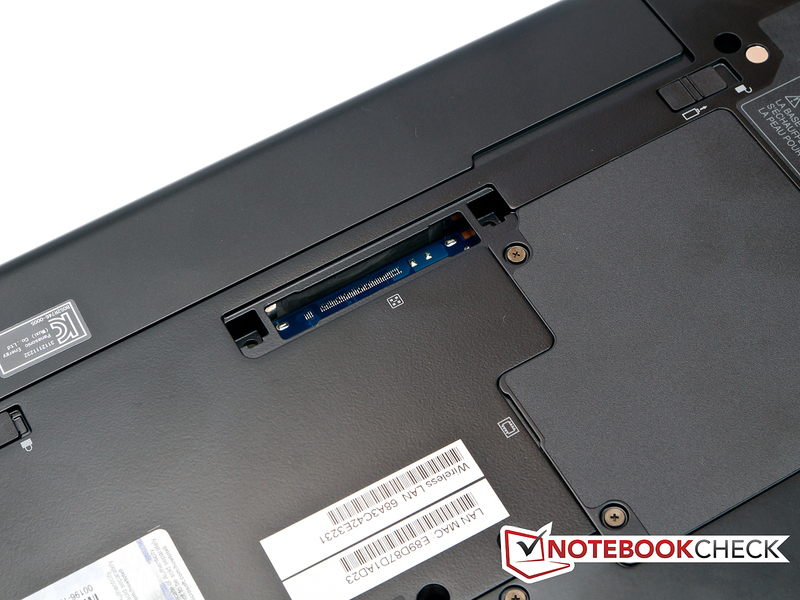 You can upgrade the Toshiba Satellite R830 via the two access panels on the underside of the base unit. However, they only give you access to the hard drive and the two RAM slots. With subnotebooks you generally have to accept some sacrifices in the range of ports, as there simply isn’t as much space as you’d find on a 15.6-inch notebook for example. But despite this, the Toshiba Satellite R830 has a lot to offer, at least as far as USBs are concerned. It has three USB ports in total. One is a standard USB 2.0 port, one is a USB 2.0/ eSATA combo port, and one is a faster USB 3.0 port. So you will be well equipped for the future, as well as for your existing eSATA storage. However, we do have to criticise the layout of the ports. On the left-hand side of the laptop, almost all the ports are positioned near the front edge. Towards the back, all you have is the power socket and the air vent. We feel that the ports could easily have been moved further back, as has been done on the right-hand side. The 6-in-1 card reader (MMC SD memory card, SDHC, miniSD, microSD, SDXC) has been cleverly integrated into the right-hand palm rest, where it is easy to access and does not take up much space. 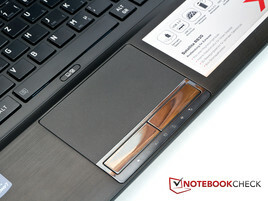 In addition, there is also an optional 'Port Replicator' on the underside of the notebook; this allows you to connect the Toshiba Satellite R830 to a docking station (available separately) and thereby extend your range of ports. The Toshiba Satellite turns out to be very communicative, having virtually everything you could wish for. An Atheros AR9002WB-1NG adaptor takes care of the WLAN, and supports the 802.11 b/g/n WLAN standard. The notebook also has Bluetooth Version 3.0 + HS. Wired connections are handled by the Intel 82579V adaptor, which supports Gigabit Ethernet and should provide you with a fast connection. Toshiba was rather stingy when it came to accessories; there was nothing in the box other than the subnotebook itself, the battery, the power block, the power cable and the usual printed documentation. Toshiba covers the Satellite R830 with a two-year international ‘Bring-In’ manufacturer’s warranty for Europe, the Middle East and Africa. The warranty includes an on-site pick-up service in Germany and Austria if you report the fault to the Toshiba notebook hotline. You can upgrade to a three-year on-site warranty for around 90 Euros, but you have to purchase and activate this within 30 days of the original purchase. Toshiba has kitted out the Satellite R830 with a generous amount of software. Windows shows around 80 programs on the subnotebook in its initial condition. For most users, the most useful of these programs will be Microsoft Office Starter 2010 (pared-down version of Office with Word and Excel), but the security software that Toshiba provides will also be of interest to some users. Understandably, Toshiba was not able to fit a full-size keyboard onto the Satellite R830; the keys have been made a little smaller and there is no number pad. The free-standing, chiclet-style keys are 15 mm x 12 mm, almost rectangular. This takes some getting used to, as most keyboards have square keys, with sides of equal length. But after a short period of adjustment, we felt we could certainly describe the typing feel as ‘pleasant’. The travel and the level of tactile feedback are well chosen, allowing you to type quickly and easily. We particularly liked the muted sound when you hit the keys - they are not as loud as on some other models, probably quite intentionally. Overall, the Satellite R830’s keyboard was convincing. 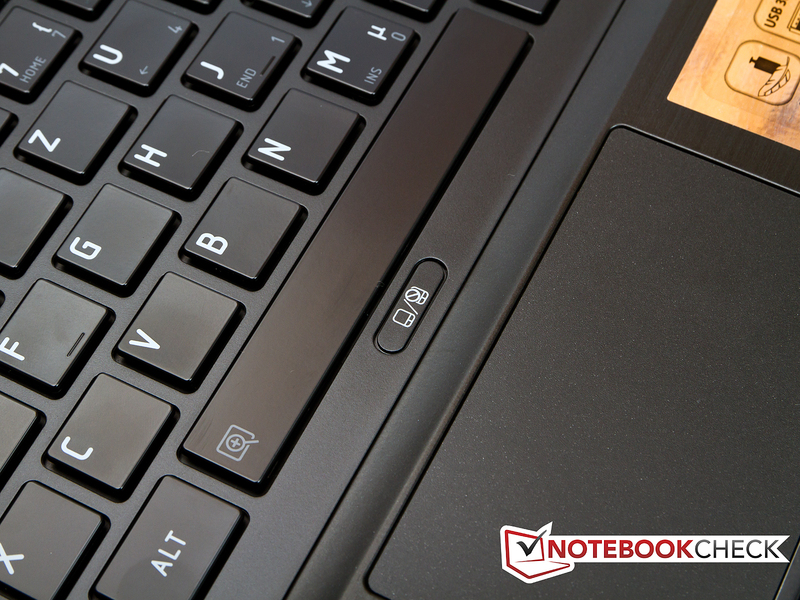 The touchpad under the keyboard is generously proportioned for a subnotebook. It offers an adequate surface area, with a diagonal of almost 98 millimeters (50 mm x 80 mm). The user needs this much space, as the touchpad supports multi-touch gestures, as well as having horizontal and vertical scrollbars. We were able to steer the cursor very accurately and comfortably during our testing, on the touchpad’s slightly roughened surface. When the touchpad is not needed for a while, it can either be switched off using a function key combination (Fn + F9) or the small button just above the touchpad. The two touchpad buttons also do a satisfactory job. They depress only a very short way and have a very hard point of response. Unfortunately, a very loud ‘click’ announces that you have pressed the button. Toshiba has gone for a 13.3-inch display with a 1,366 x 768 pixel resolution for the Satellite R830. LED backlighting should provide a bright and evenly lit screen. We were pleased to see that a matt screen has been used here. According to German workplace regulations concerning computer screens, these are to be preferred. Glossy displays are not actually banned, but they have to be examined prior to use. Quite apart from this, matt displays usually perform better than glossy ones when used outdoors. 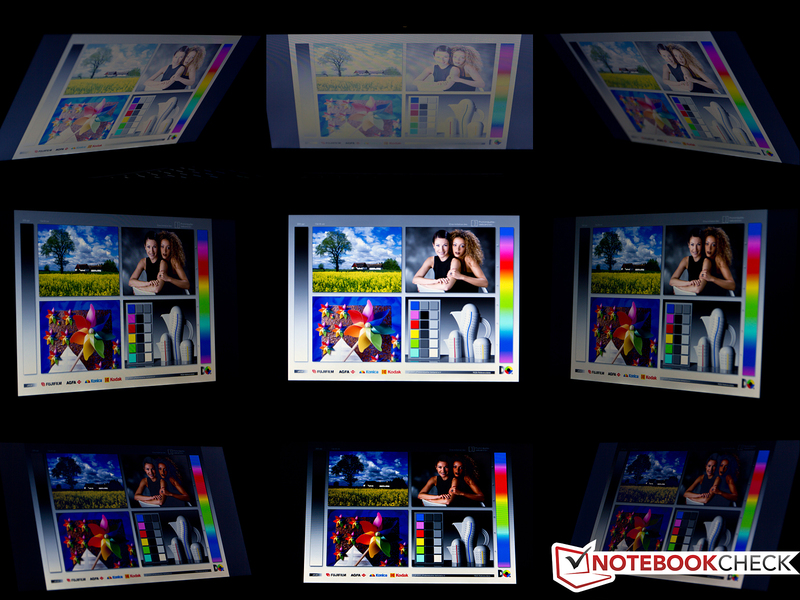 In terms of brightness, the display ranks somewhere in the middle tier of results for current notebook screens. The average reading of 203 cd/m² is acceptable. A little more positive is the very even distribution of brightness, at 92%. It means that the screen brightness looks very uniform, even when you look at large areas of a single colour. Unfortunately the black level is very high at 1.58 cd/m², which in combination with the maximum brightness of 213 cd/m² results in a rather poor contrast ratio of 134:1. So dark scenes in films sometimes look more grey than black. It is also clear from the colour reproduction that the Toshiba Satellite R830 was not really designed with image editing or film viewing in mind. A direct comparison with the sRGB colour space is enough to show that the screen cannot even get close to portraying the colours correctly. Outside in the fresh air, the display’s matt surface is a real advantage. This and the screen’s decent brightness mean that even in sunlight you can always make out the picture to some extent. Better contrast would have made it easier to read, but compared to notebooks with a glossy display, the Toshiba Satellite R830 is way out in front. Thanks to the matt finish you can also look at the screen from a sideways angle without it turning into a mirror. Unfortunately the display’s viewing angles aren’t especially good. If you look at the display dead-on and then take a few steps to the left or right, you can still see the screen without strong distortions. So you could have several people sitting around the one display. However, when you tilt the screen up or down, the picture starts to distort very quickly, and is soon unrecognizable. But this is the case with most budget panels; compared to similar notebooks the Satellite R830’s display is pretty normal. If exceptional viewing angle stability is important to you, your only hope is an IPS display, though these are rarely used for a notebook. An example would be the current 12-inch Lenovo Thinkpad X220. 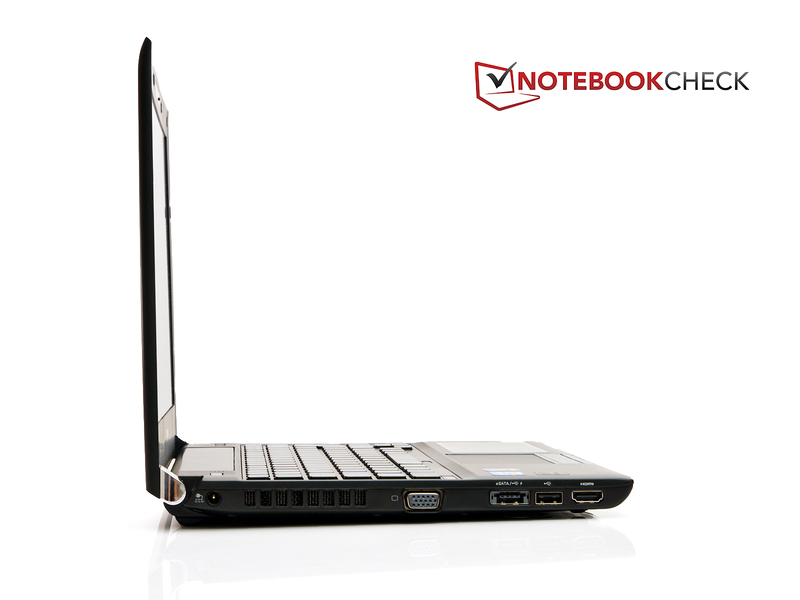 At the heart of the 13.3-inch notebook is an Intel Core i5-2410M processor. This is a mid-range processor from the latest generation of Core i processors, based on the Sandy Bridge architecture. The i5-2410M is a dual-core model with a base speed of 2.3 GHz per core. Thanks to Hyperthreading the processor is able to process four threads simultaneously. If more power is needed at a particular time, the system can dynamically overclock the system. Depending on demand, either both cores can be overclocked to 2.6 GHz or one core can be overclocked to 2.9 GHz. In this way it is possible to give the processor performance another boost, although this will only happen if the processor is adequately cooled. 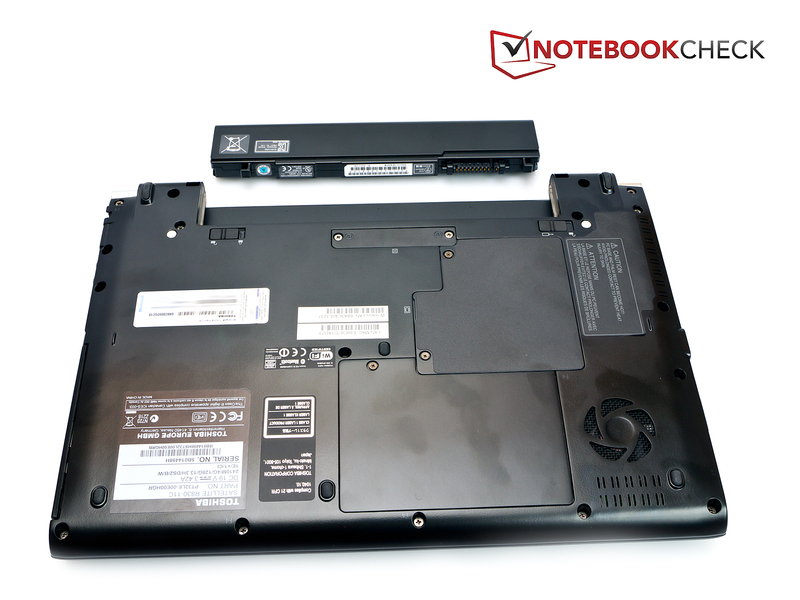 With a TDP of 35 Watts the processor is quite frugal, and doesn’t need an excessively elaborate cooling system, which is sure to be an advantage in a 13.3-inch notebook. The processor contains an integrated graphics card, which is a great benefit to the system. It allows the notebook to do without a dedicated graphics card, which would have used up a lot of additional energy. The integrated graphics unit is an Intel HD Graphics 3000. Compared to earlier models, the HD Graphics 3000 integrated graphics card has gained in power, now sitting at the same level as an entry-level graphics card like the Nvidia GeForce 310M. This means that you can generally play some older games on it without problems, and even some newer games (for instance StarCraft 2). However, you do have to accept some sacrifices in terms of quality and resolution with the more modern games. Integrated graphics cards are primarily designed for basic tasks like working on office documents, surfing the net, or playing videos, not for games. Especially with a notebook like the Toshiba Satellite R830, you can assume that it will focus on the business and office side of things, rather than gaming. Toshiba really has given the small subnotebook a powerful processor in the form of the Intel Core i5-2410M. This is also apparent from the processor benchmarks. In the Cinebench R10 Single Rendering (64 bit), the Satellite R830 performs well with a score of 4556.0 points. This puts it on the same level as 15-inch notebooks which are also equipped with the i5-2410M processor. The Satellite R830 even positions itself right out in front. It also scores well in the Cinebench R10 Multi-rendering (64 bit), its 9653 points placing it amongst the front-runners. For example, we see similar results from the 14-inch Fujitsu Lifebook LH531 (2410M, HD Graphics 3000) with 9659 points, or the Acer Aspire 3830TG-2414G75nbb (2410M, GT540M) which is also 13.3 inches and scores 9651 points. In the Cinebench R11.5 CPU 64 bit benchmark, the subnotebook scores 2.6 points, putting it level with the other notebooks which have an Intel Core i5-2410M. The processor’s Turbo Mode seems to take effect smoothly during heavy CPU usage. 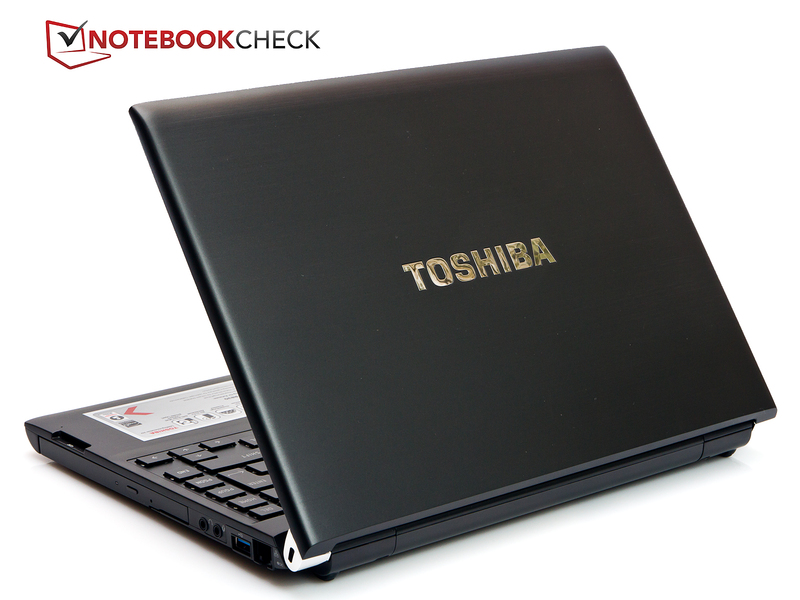 We tested the system performance of the Toshiba Satellite R830 using the PCMark Vantage and PCMark 7 programs. 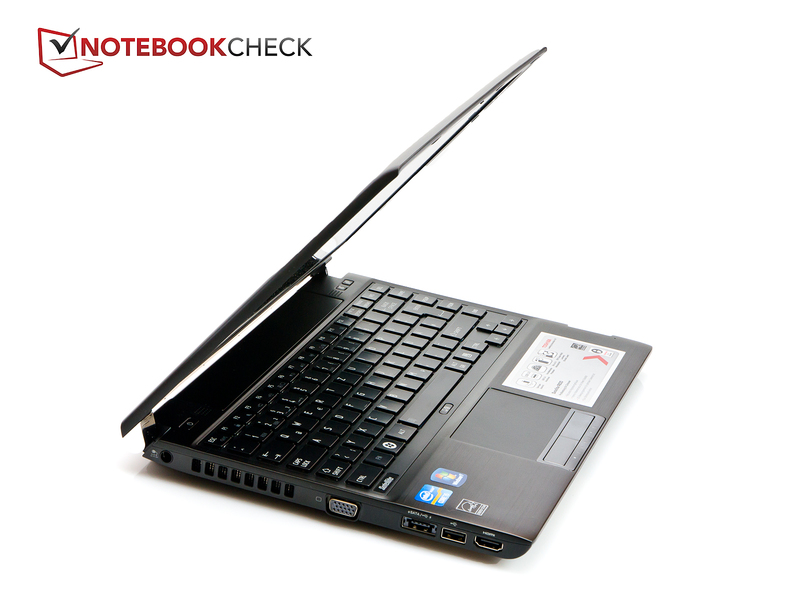 In the PCMark Vantage test, the subnotebook scored 8351 points. This places it just behind the MSI GT780R (2630M, GT560M) with 8599.0 points. The integrated SSD is particularly helpful to the subnotebook here. 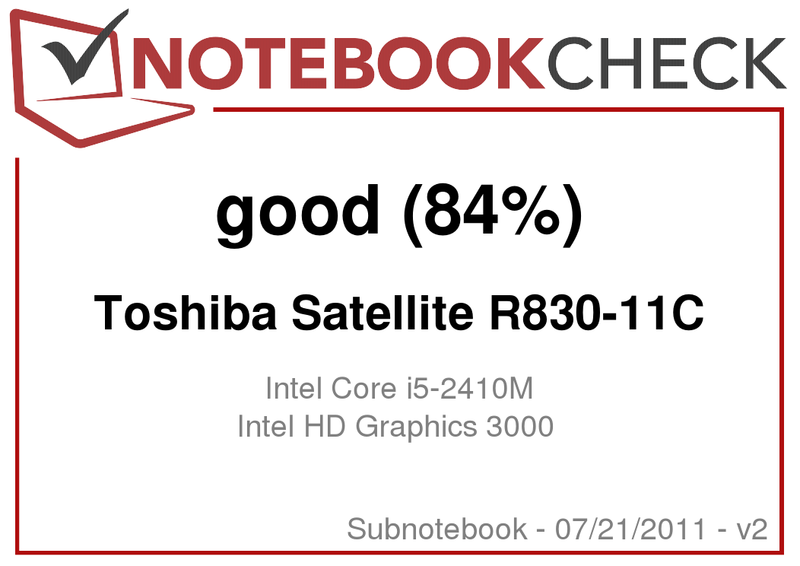 In the hard drive category (PCMark Vantage HDD score) the Satellite R830 scores 24,659.0 points, putting it in the top 20 of our database of tested notebooks for this category. The PCMark 7 benchmark tells a similar story. 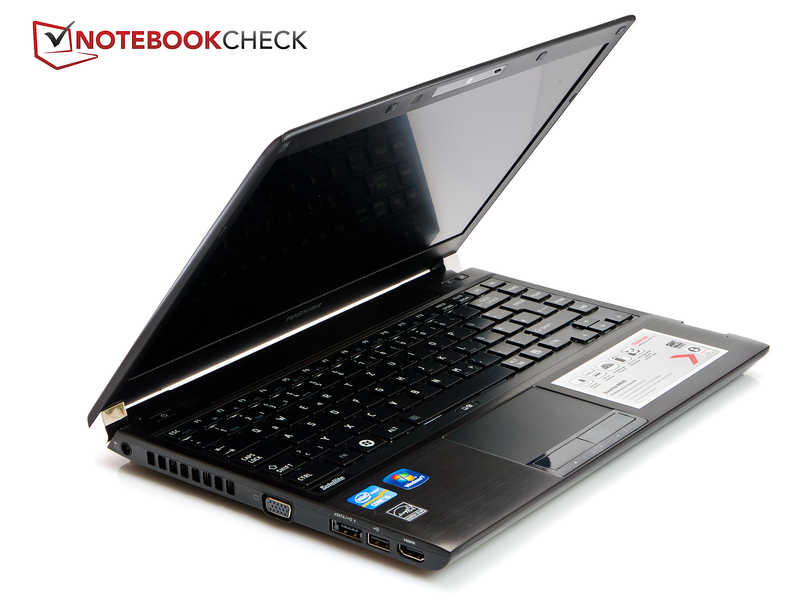 The subnotebook reaches 2,936.0 points, finishing just ahead of the Dell XPS 15z (2620M, GT 525M) with 2,633.0 points. In this test too, the SSD is a significant factor in achieving the good result. During everyday use, you do notice the effect of the SSD, particularly in the rapid start-up and short program load times. The absence of vibrations and noise from the drive is another substantial point in favour of SSDs. To test the graphics performance of the Intel HD Graphics 3000, we turn once again to the tried and trusted 3DMark 06 benchmark. As expected, the graphics card takes a position very low down in our table, with a score of 3629.0 points. 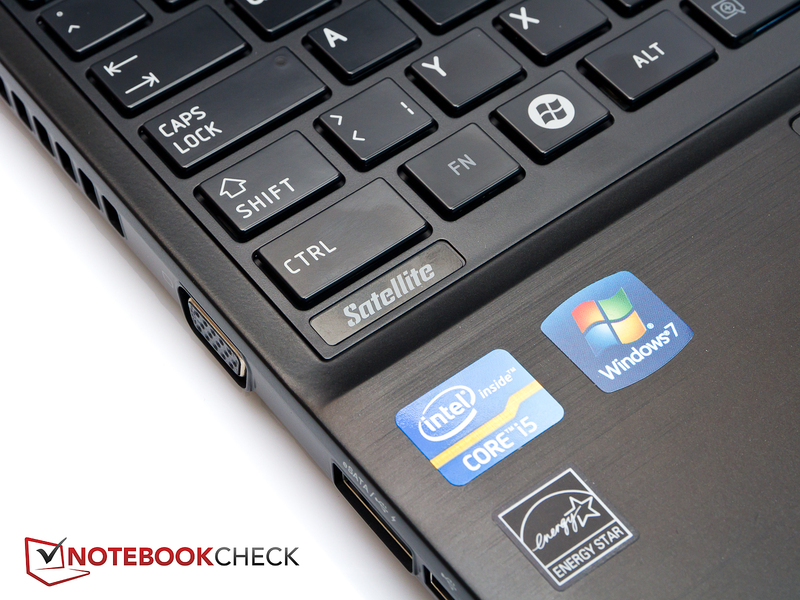 Compared with other notebooks that also rely on the Intel HD Graphics 3000, the Satellite R830 is average. But for a 13.3-inch notebook, the Satellite acquits itself quite well, and can hold its head high in the presence of the 15.6-inch models with similar hardware. For example, it is the equal of the HP Pavilion g6-1141sg (2410M, HD Graphics 3000) which we reviewed recently, with its 3651.0 points. The built-in Toshiba THNSNC128GMLJ solid state drive (SSD) has a total capacity of 128 GB. That might be quite small by today’s standards, but the system profits enormously from the speed of the drive. Windows is clearly faster to start up and wakes up more quickly from standby. The access time of 0.2 milliseconds makes every conventional notebook hard drive look old, as these have access times of around 17 - 20 milliseconds. The SSD’s average transfer rates are also much higher. The SSD achieves 154.7 MB/s, while a standard 2.5-inch hard drive with a speed of 5,400 rpm will only manage between 80 and 100 MB/s. An SSD is also much less sensitive to shocks, as it doesn’t have magnetic discs inside, and it is quieter. However, the Toshiba drive used here doesn’t stand a chance against high-end SSDs. Unusually, the SSD in this review model did produce some unwanted noise when subjected to heavy use. For a gaming test, we once again turned to StarCraft 2: Wings of Liberty and Call of Duty: Black Ops. While the first of these is a strategy game which can run on most machines on the medium details setting, the other is a classic 3D shooter. As you would expect, StarCraft 2 ran smoothly on its lowest settings on this small subnotebook. The Satellite R830 gave a refresh rate of 61 fps with the lowest resolution and lowest details level. However, if you increase the resolution and the details settings only slightly, the frame rates deteriorate rapidly and the game becomes unplayable. Call of Duty: Black Ops is pretty much unplayable on the Toshiba Satellite R830. Even on the lowest details and lowest resolution, the game still stuttered. Generally 24 fps is the point at which the human eye starts to perceive the gameplay as smooth; Call of Duty came in below that at 21 fps. You can see how the Intel HD Graphics 3000 graphics card handles other games in our wide-ranging comparison, 'Computer Games on Laptop Graphics Cards?'. The Toshiba Satellite R830 is generally very quiet. Especially with light use, its low noise readings are excellent; the volume in idle remains constant at 29.9 dB(A), with the subnotebook’s fan running continuously. The laptop benefits from the lack of conventional hard drive, which removes one source of unwanted noise. But during our hard drive benchmarks we did notice some noises which were definitely coming from the SSD. During normal use you can’t hear them; they only appear when the hard drive is under stress. The noises reach a volume of around 31.1 dB(A). With the system under constant stress, the cooling system really kicks in and the volume readings reach between 43.8 dB(A) and 45.9 dB(A). At this point the subnotebook is really quite loud. This is another thing which is influenced by of the size of the chassis, as the small cooling system has to work very hard to keep up with the Core i5-2410M. In idle all the surface temperatures remain in the green zone. On the top of the base unit we measured a maximum of 27.8 degrees Celsius. The palm rests reach 26.7 degrees Celsius (left side) and 26.4 degrees Celsius (right side). The touchpad’s temperature rose to 27.0 degrees Celsius. On the underside too, the maximum temperature was an unconcerning 30.1 degrees Celsius, so there should be no problem resting the notebook on your lap when it’s like this. Under heavy use, the temperatures rise noticeably and you can tell that the cooling system is struggling to keep up at times. On the top side (above the air vent) the subnotebook reaches 49.7 degrees Celsius. This is bordering on being a concern. The palm rest reaches temperatures of 37.1 degrees Celsius (left) and 30.5 degrees Celsius (right). The touchpad rises to 36.2 degrees. So at least the areas where your hands are most likely to be remain at a reasonable temperature. On the underside of the laptop, the temperatures rise to a maximum of 48.5 degrees Celsius. During our stress test with Prime and Furmark, it became even more clear that the i5-2410M is designed more for notebooks with a display diagonal of 15.6 inches. 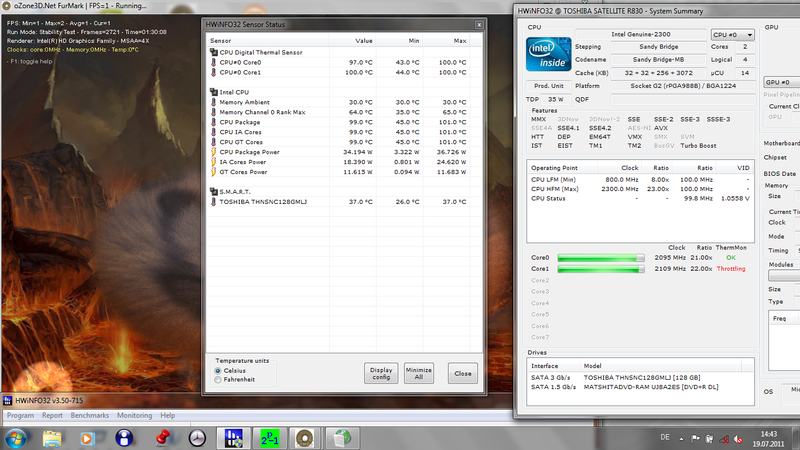 The Toshiba Satellite R850’s cooling system has some trouble keeping the processor cool. According to the HWiNFO tool it sometimes hits 100 degrees Celsius. This is generally specified as the upper limit for most processors. For this reason the processor will automatically reduce its speed, causing ‘throttling’ as it is called. The Satellite R830 did this after only a few minutes of full system load. Clearly the subnotebook was not intended for long, demanding calculations, and is designed more as a light and portable companion. In a 3DMark 06 test that we ran afterwards, the results did not get any worse. The throttling only happens when the subnotebook is under extreme stress; there is no sign of it during typical everyday use. (-) The maximum temperature on the upper side is 49.7 °C / 121 F, compared to the average of 35.8 °C / 96 F, ranging from 22 to 57 °C for the class Subnotebook. (+) In idle usage, the average temperature for the upper side is 27 °C / 81 F, compared to the device average of 30.7 °C / 87 F.
(-) The average temperature of the palmrest area of similar devices was 28.6 °C / 83.5 F (-8.5 °C / -15.3 F). The subnotebook’s sound system failed to impress us. In our test it sounded very tinny, and overall we could probably only call the sound quality mediocre. It would be better to see these integrated speakers as a last resort. If you want to watch a film on the notebook or listen to music, you would be better off with headphones. The maximum volume was certainly convincing, but we simply cannot recommend the speakers at all. Toshiba has obviously tried very hard to limit the energy consumption of this laptop. And it has succeeded - in idle the consumption is between 5.7 and 8.8 Watts. There are other systems with an Intel Core i5-2410M processor and Intel HD Graphics 3000 graphics which use considerably more than 10 Watts. Under heavy use, with the energy-saving options no longer active, the hardware draws 33.1 - 49.4 Watts. So the 65-Watt power block has no problems keeping the subnotebook supplied with energy, even at full system load. As you might hope from the low energy consumption, the six-cell battery lasts a long time, as long as you don’t ask too much of it. The maximum run time of 12 hours and 19 minutes (Battery Eater Reader’s test) looks impressive on paper, but in reality you would barely ever reach this if you were actually using the notebook to do anything. The times of 6 hours 29 minutes of web surfing or 5 hours 49 minutes of DVD viewing are more realistic. On the other hand if you work at full system load, you will run out of juice at 1 hour 37 minutes (Battery Eater Classic test). During testing we noticed the battery’s extremely long recharge time; it took up to 4 hours before the battery was fully recharged. 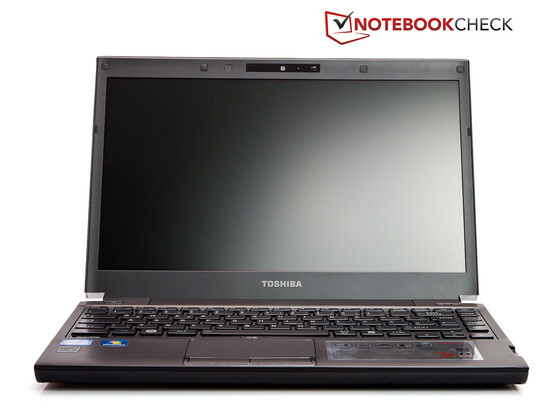 The Toshiba Satellite R830 is a very capable subnotebook for users who need to travel a lot with their work notebook, and don’t want to carry too much weight. From its appearance you could easily imagine the notebook in an office environment or at a meeting, but it would also make a good impression at a presentation. In terms of performance too, the notebook will not let the user down in any of these scenarios. Those who expect only the highest level of performance from their notebook should look elsewhere; if the Satellite R830 is running at full load for any real length of time, the processor will begin to throttle. 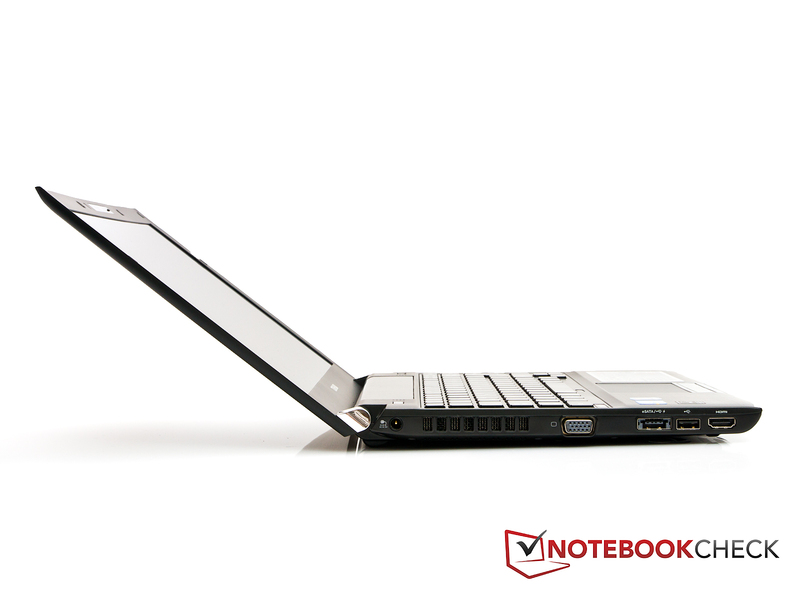 Aside from that, the notebook scores highly for its good system performance. The integrated SSD speeds the system up enormously. But everything has its price, and Toshiba wants to make some money from the Satellite R830. At almost 1,000 Euros the subnotebook is not exactly a bargain. The port replicator was not included in our version. The Toshiba Satellite R830 from underneath. Above the touchpad there is a button for deactivating it. The card reader is positioned on the edge of the right-hand palm rest. The camera in the display edging. 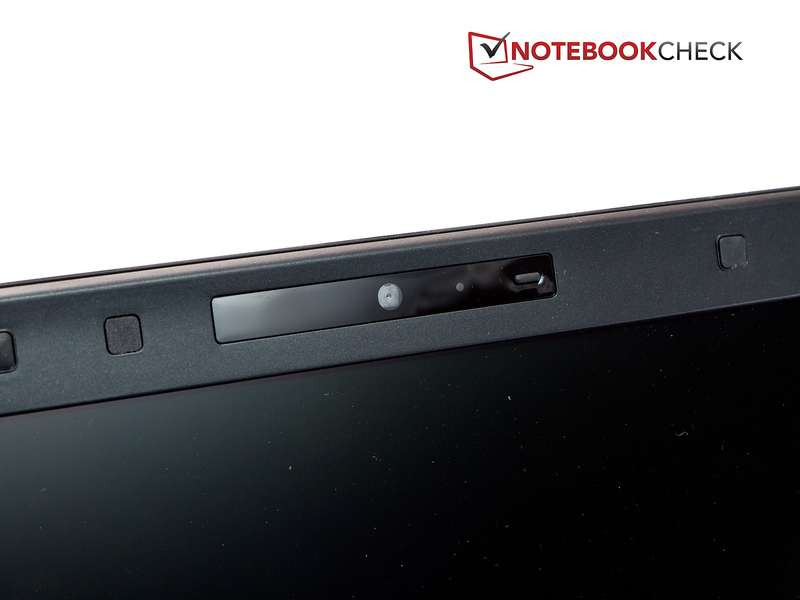 The hinges are tight and prevent you from opening the notebook with one hand. We liked the keyboard, but it took some getting used to. However, the opening angle is not especially large. It looks good from the side too. The design is kept very simple. The 13.3-inch subnotebook weighs in at only 1.48 kg. 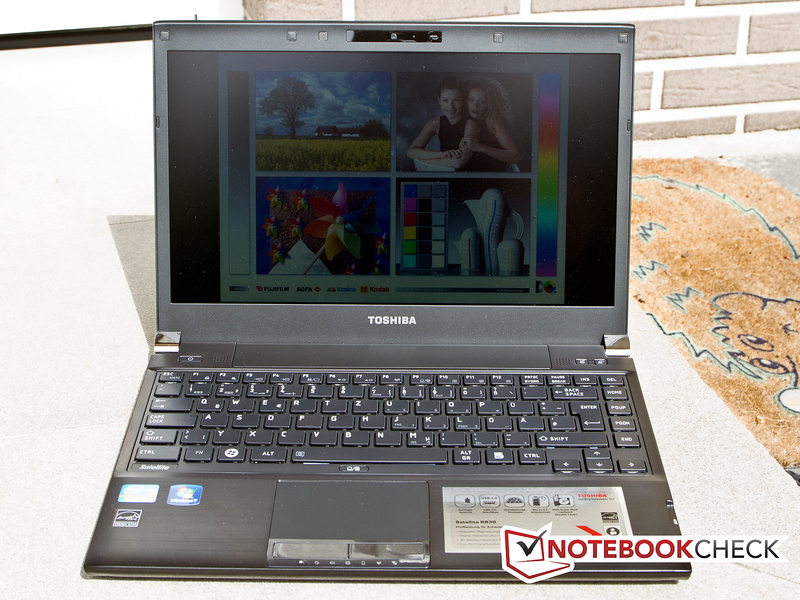 The small, light Toshiba Satellite R830 subnotebook. 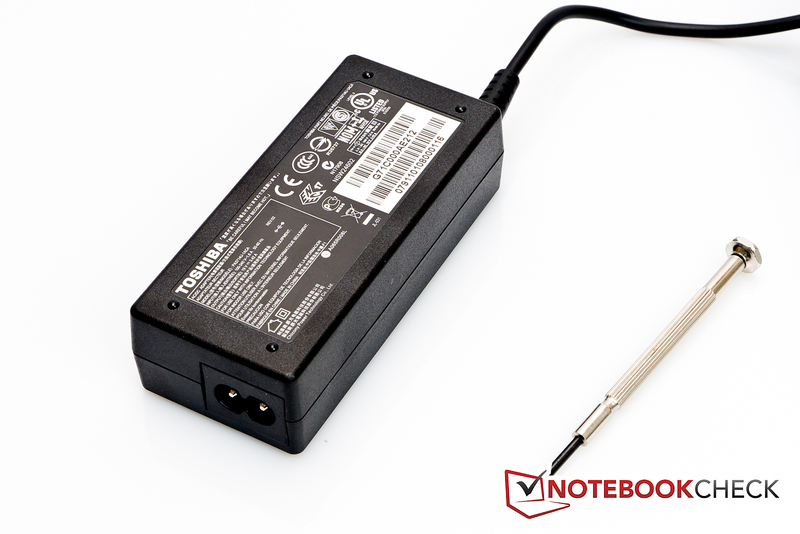 The mains adaptor is not bulky, but can still power the subnotebook without a problem. The slick magnesium case and the SSD. The case doesn’t just look good, it is also very robust and resistant to fingerprints. The SSD makes for a fast-running system. A cooling system that would turn the fan off completely in idle. Then the notebook would be almost silent when idle, with there being no conventional hard drive. That the SSD produced noises when under stress. They were extremely noticeable during the hard drive benchmarks. But this could a fault with our review model, as SSDs are supposed to run silently as they have no moving parts. 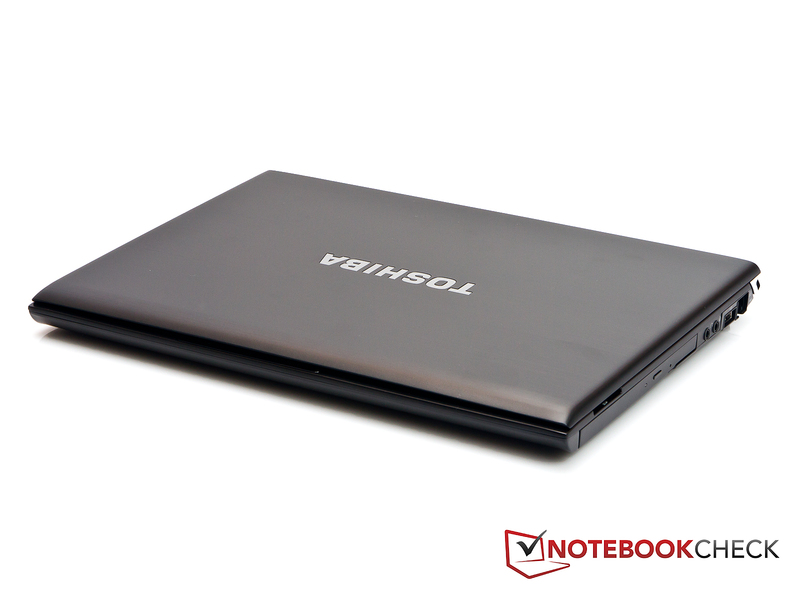 Two attractive competitors to the Toshiba Satellite R830 are the Lenovo IdeaPad Z370 and the Dell Vostro 3350. Both notebooks have the same processor, but while the IdeaPad Z370 has the same graphics card, the Dell subnotebook has AMD graphics. Both candidates cost a good deal less than the Toshiba Satellite, but don’t come with an SSD drive.